A child in Africa dies from malaria every minute according to the World Health Organization (WHO). Of the estimated 660 000 million malaria deaths occurring each year worldwide, 90% occur in Africa, primarily among children under the age of five in sub-Saharan Africa. On 25 April, World Malaria Day marks the sixth anniversary of the World Health Assembly of WHO Member States where a goal was set to reduce the number of deaths caused by malaria by 75% by 2015. Since then, more than 50 of the 99 countries afflicted by ongoing transmission are now on track to meeting this target, with an intensification of interventions, together with increased access to diagnostic testing and quality-assured treatment being key to this progress. Through our partnership with United Against Malaria (UAM), Standard Bank Group contributes to the need for continued investment and sustained political commitment to malaria prevention and control. 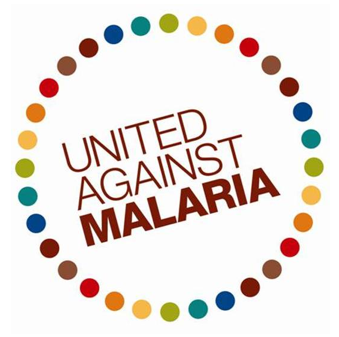 UAM is a global partnership of football teams, celebrities, health and advocacy organisations as well as government, aimed at galvanising partners throughout the world to reach the United Nations' target of universal access to mosquito nets and malarial medicine in Africa, a crucial step in reducing malaria deaths. Beaded bracelets illustrating UAM’s official "malaria safe" symbol are sold and proceeds go to subsidise the social grants received by women in Cape Town who look after HIV/Aids orphans. One dollar from each bracelet sold goes to a global fund set up to fight HIV/Aids, tuberculosis (TB) and malaria, three of the biggest killers worldwide. We are a partner of the Global Fund to Fight AIDS, TB and Malaria (http://www.theglobalfund.org) and are engaged in pro-bono projects in a number of African countries where the Global Fund guarantees are provided with financial and administrative training.